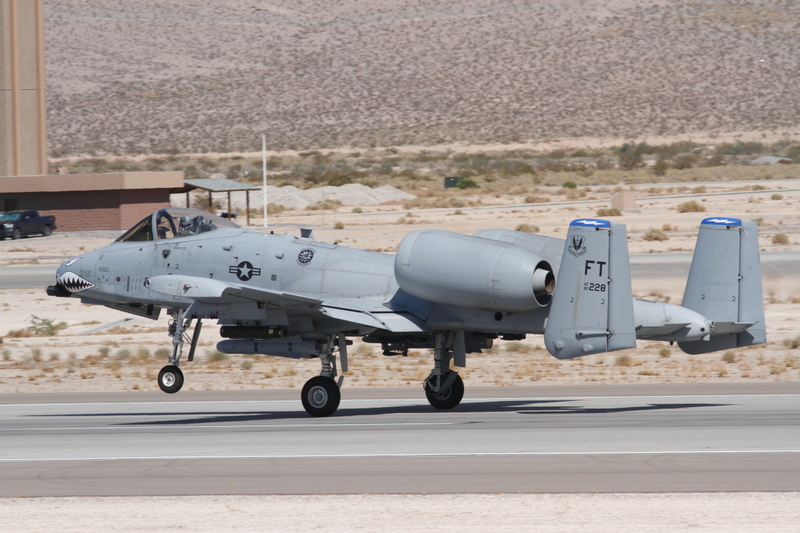 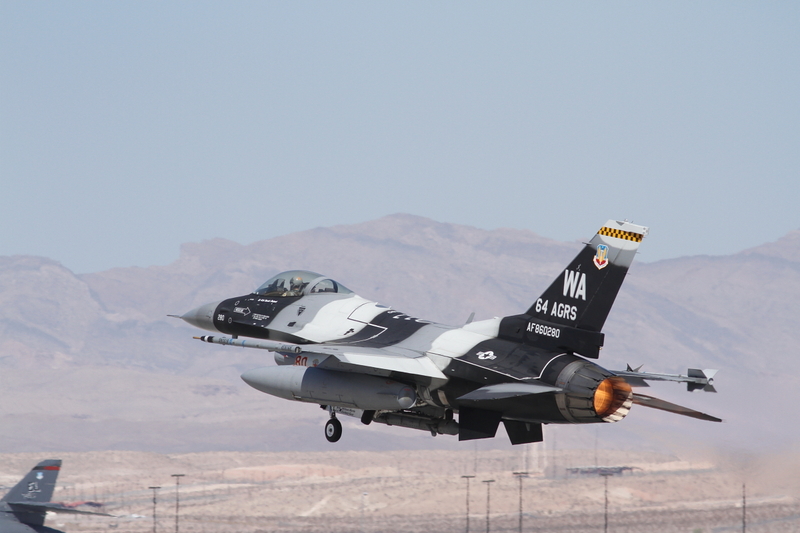 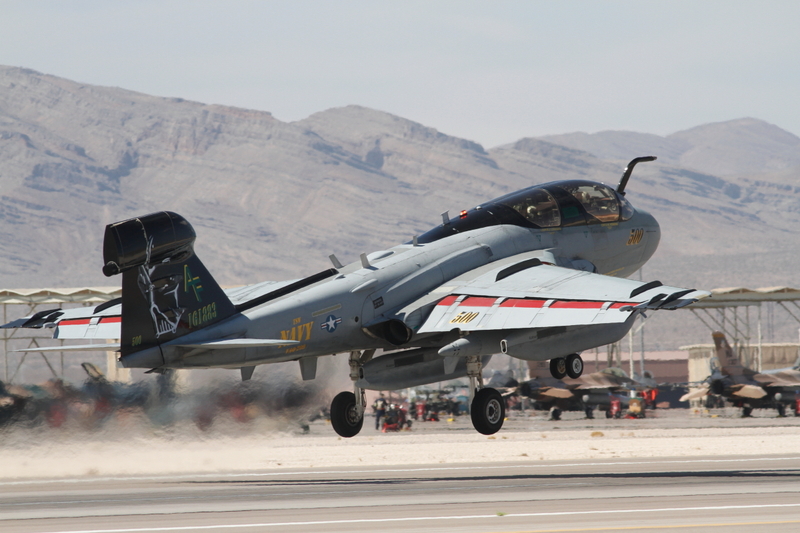 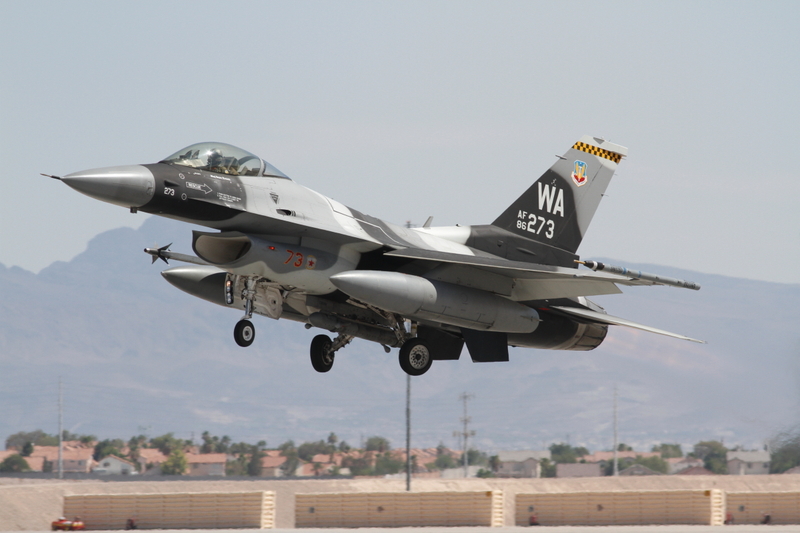 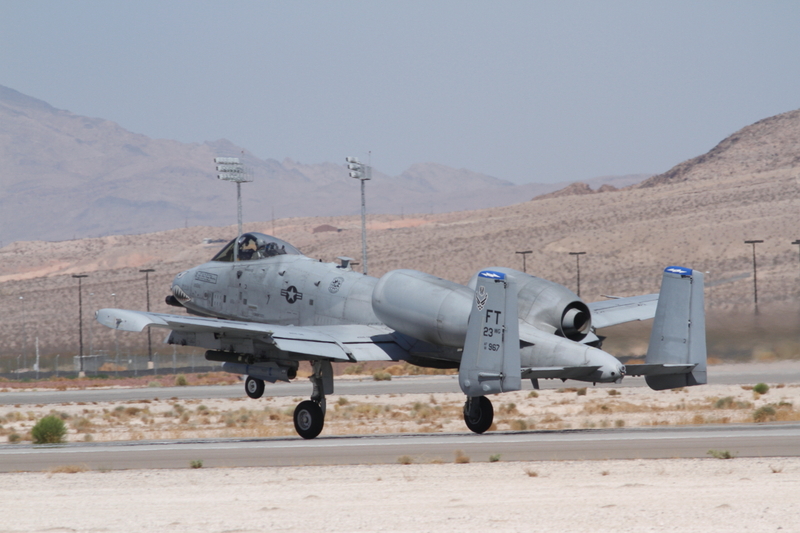 In July 2012 I took off for a two week trip to the USA with destination Red Flag at Nellis AFB, at the northern city limits of Las Vegas. 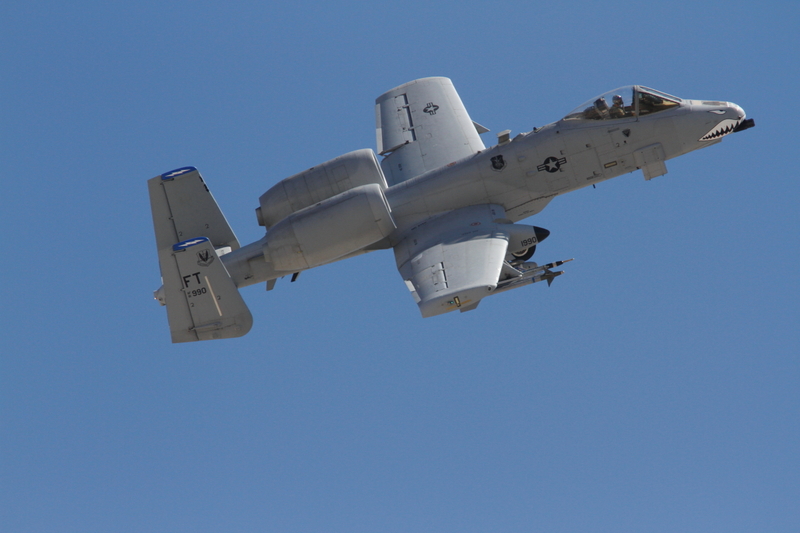 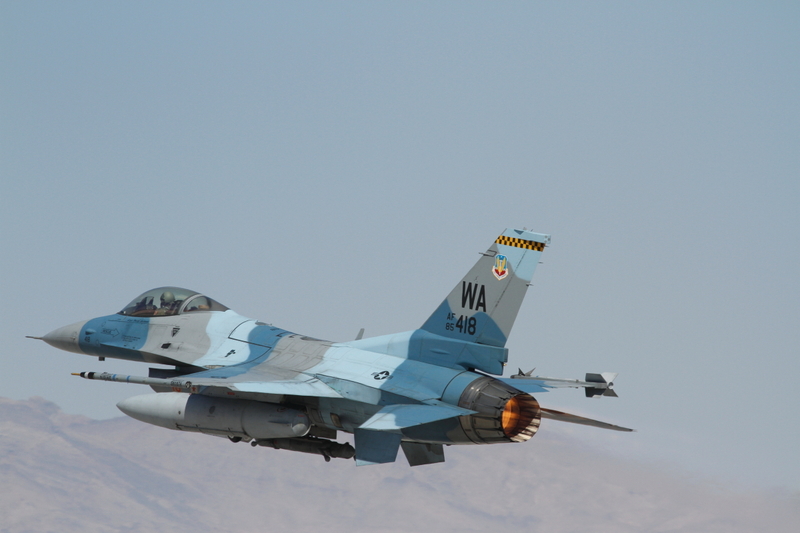 The Red Flag 12-4 edition was scheduled from 16th-27th of July in the intense heat of the Nevada desert. 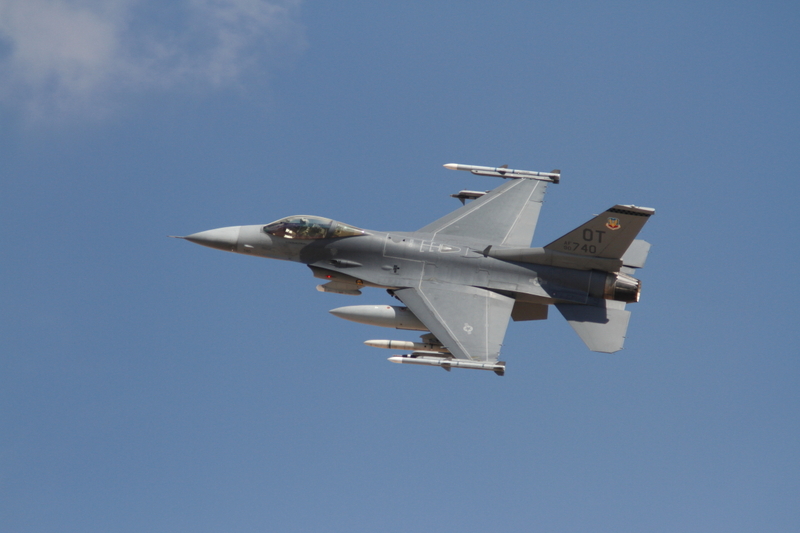 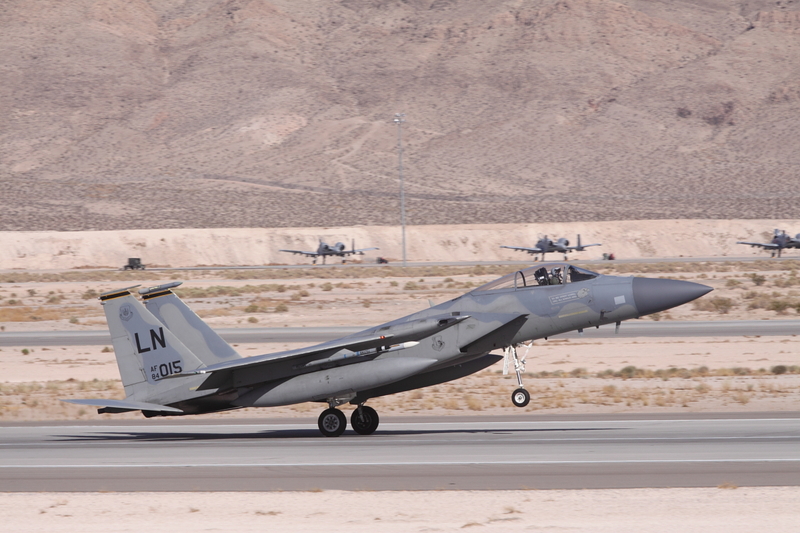 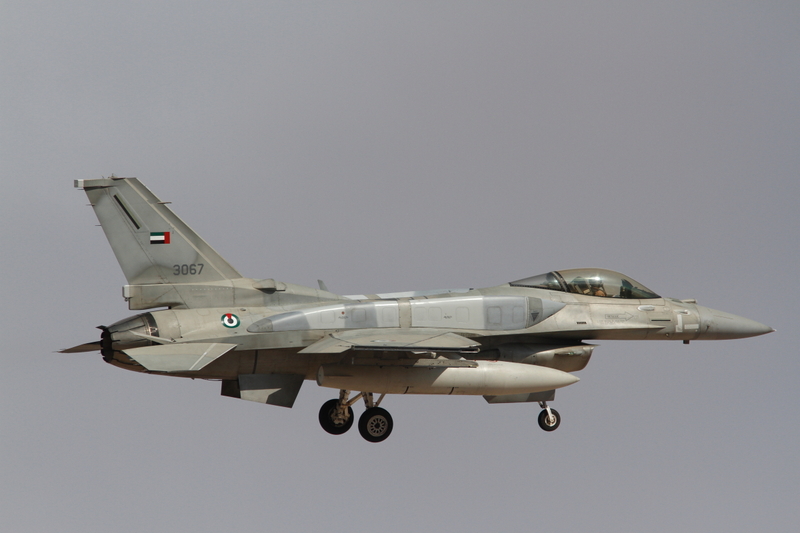 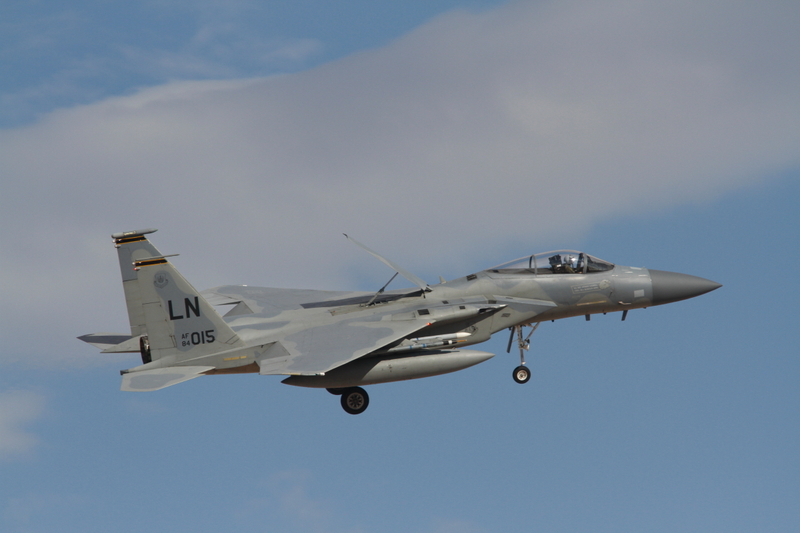 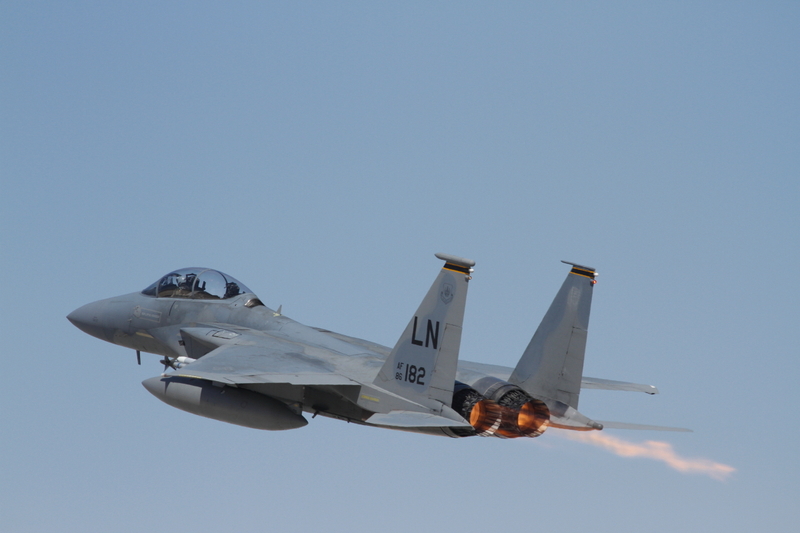 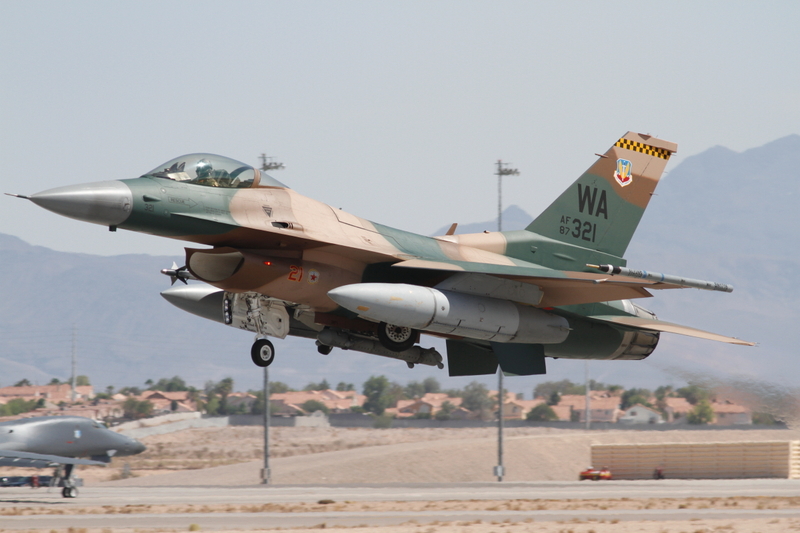 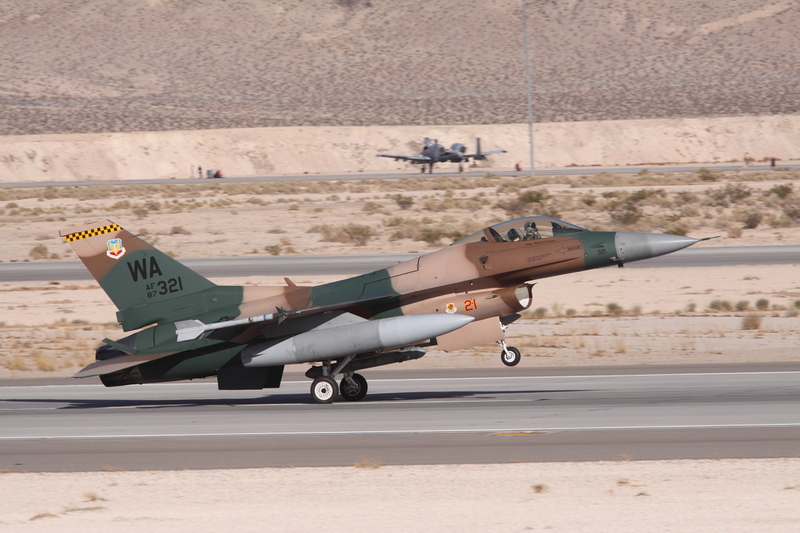 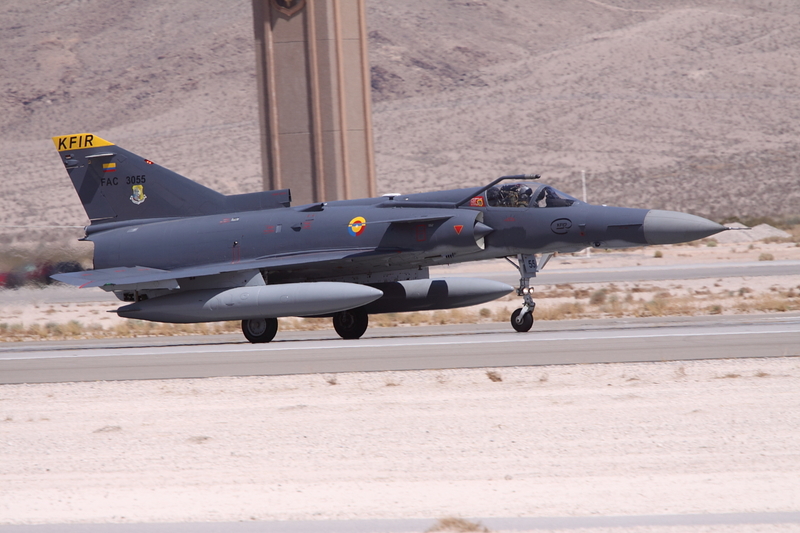 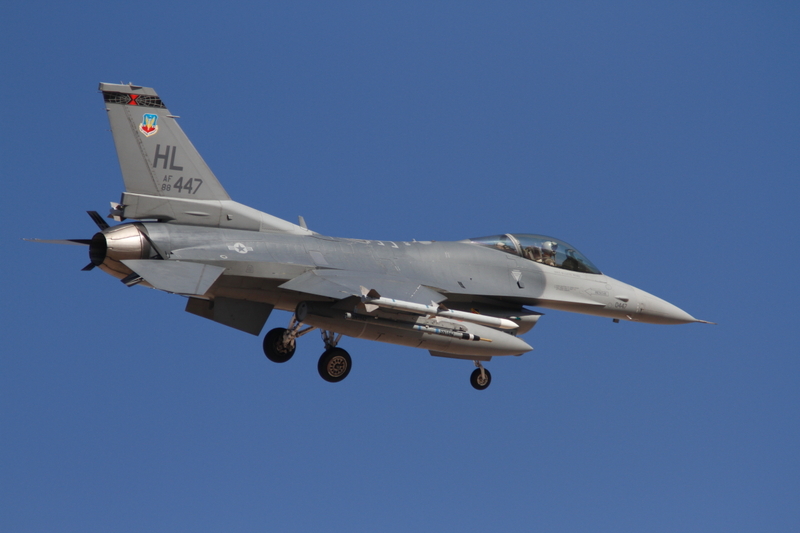 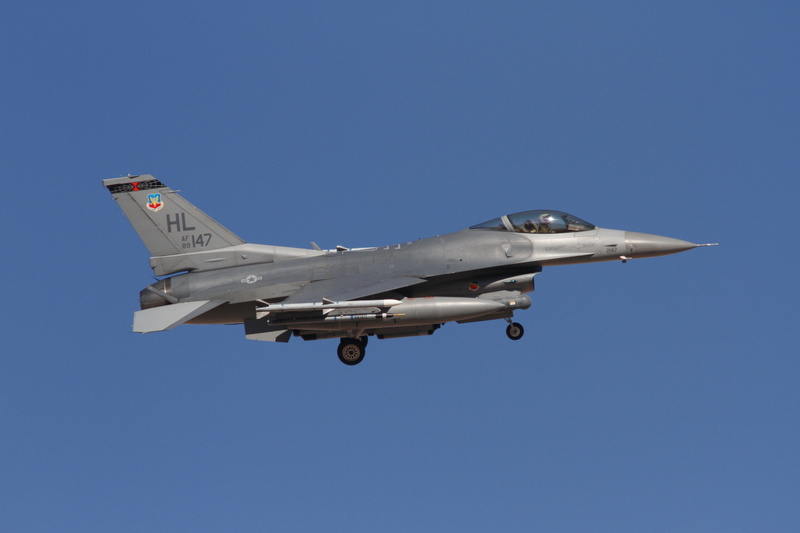 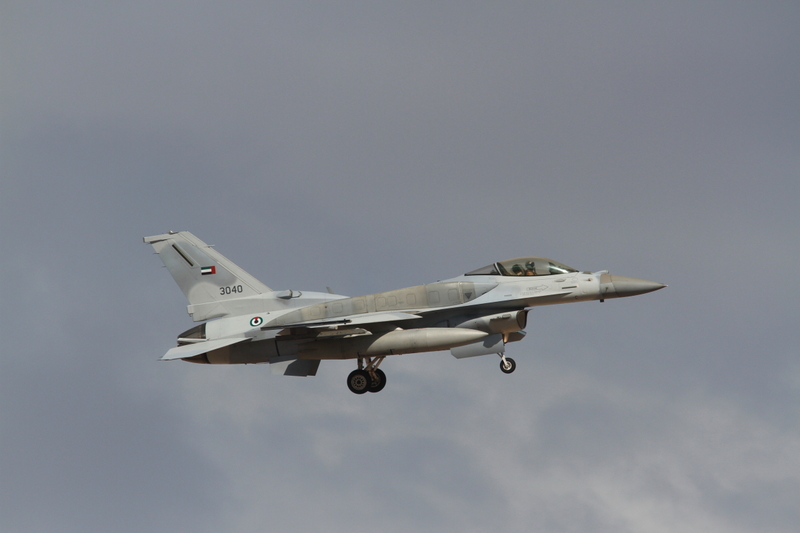 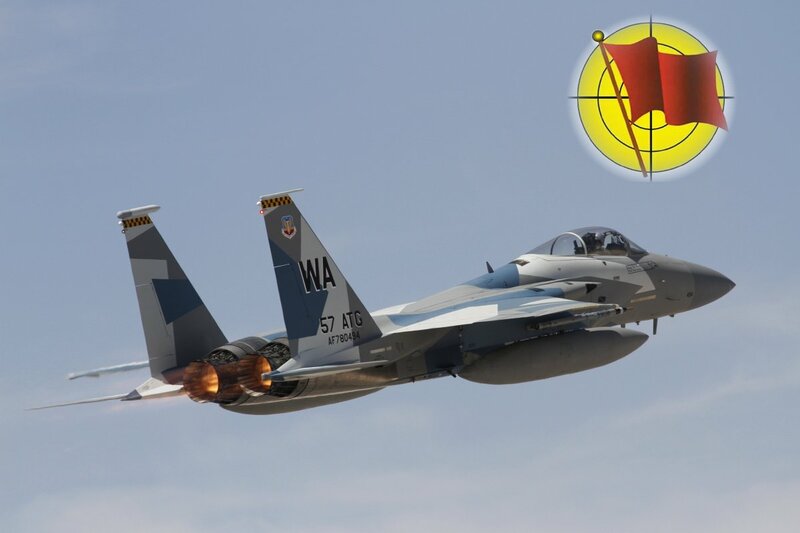 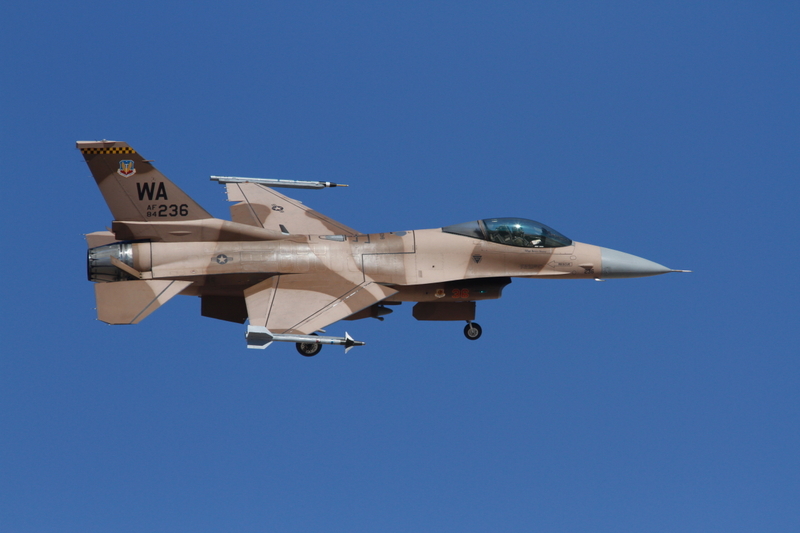 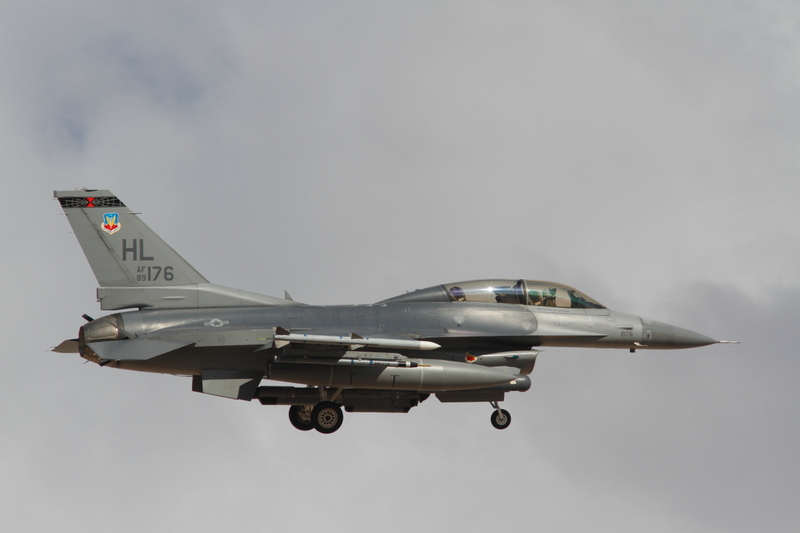 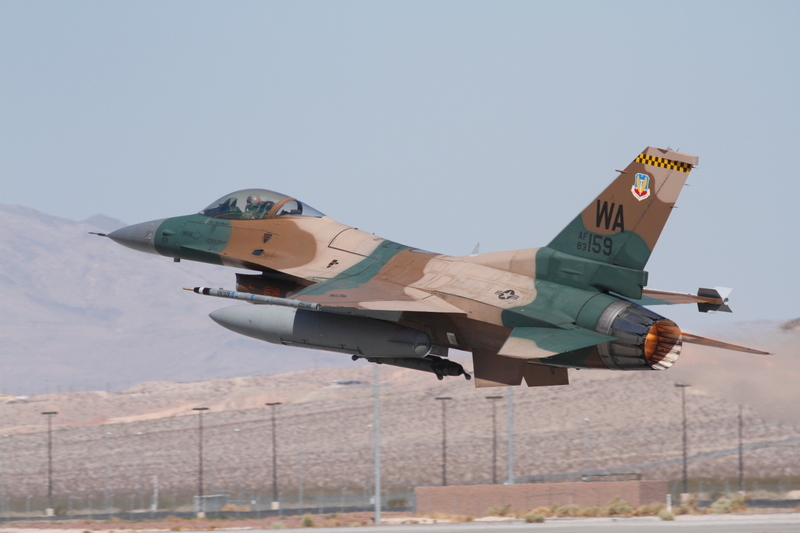 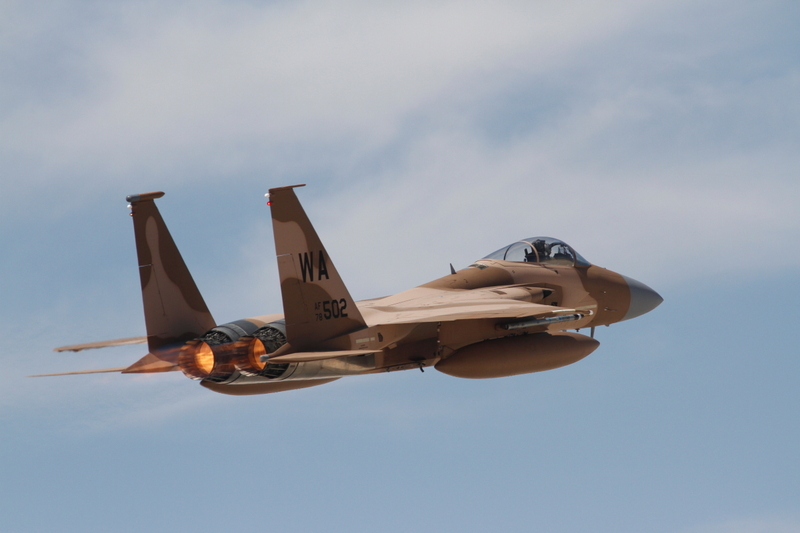 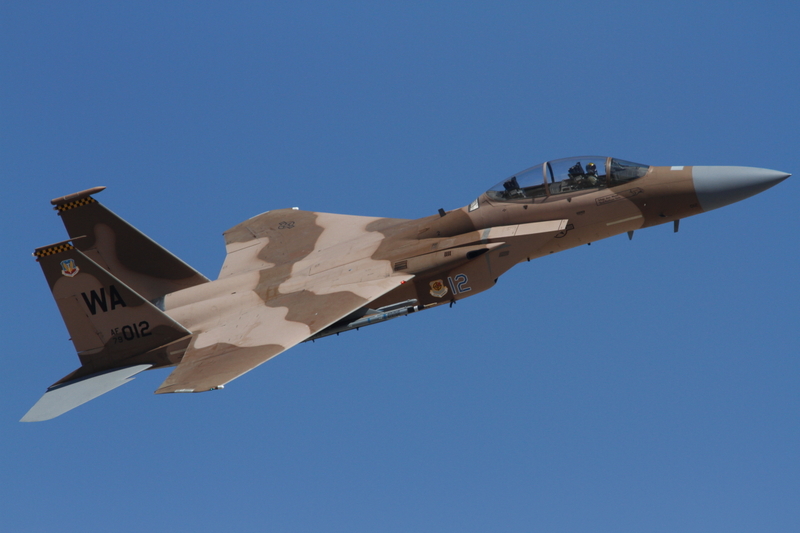 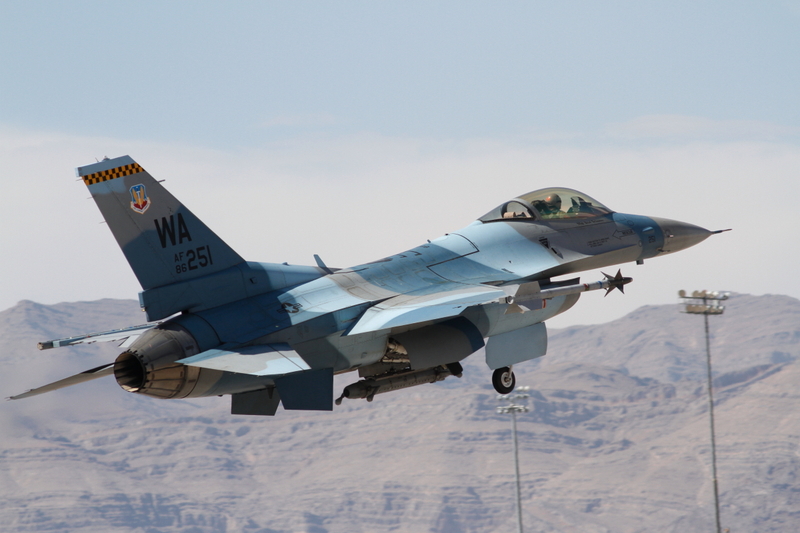 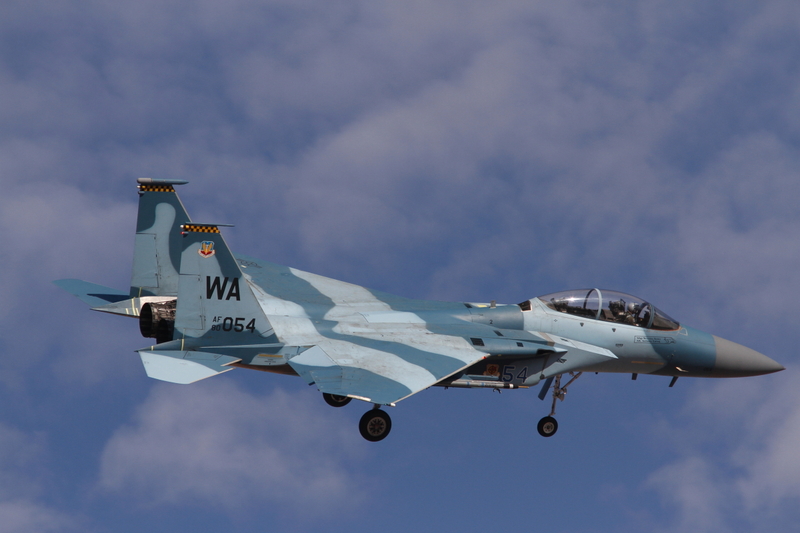 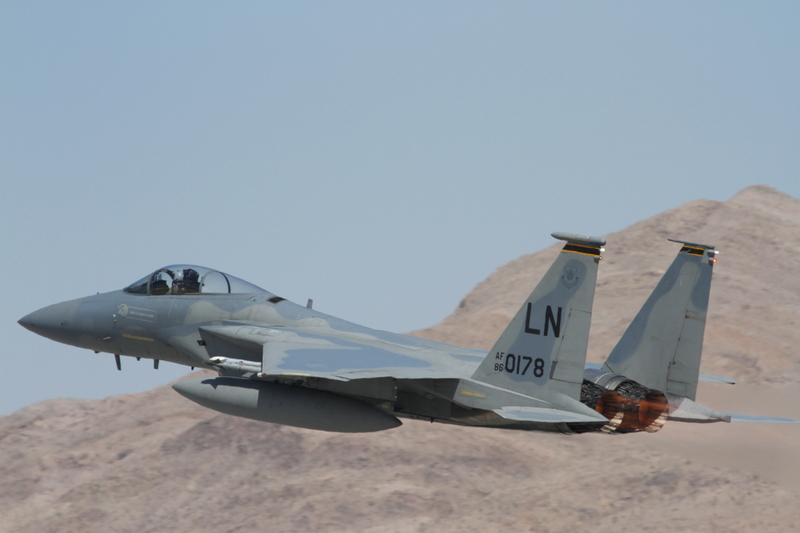 The ‘players’ of Red Flag 12-4 included all the usual suspects, such as the home based F-15s and F-16s of the 64th and 65th Aggressors squadrons, but with the addition of F-16s from the UAE, and IAI Kfirs from the Colombian Air Force. 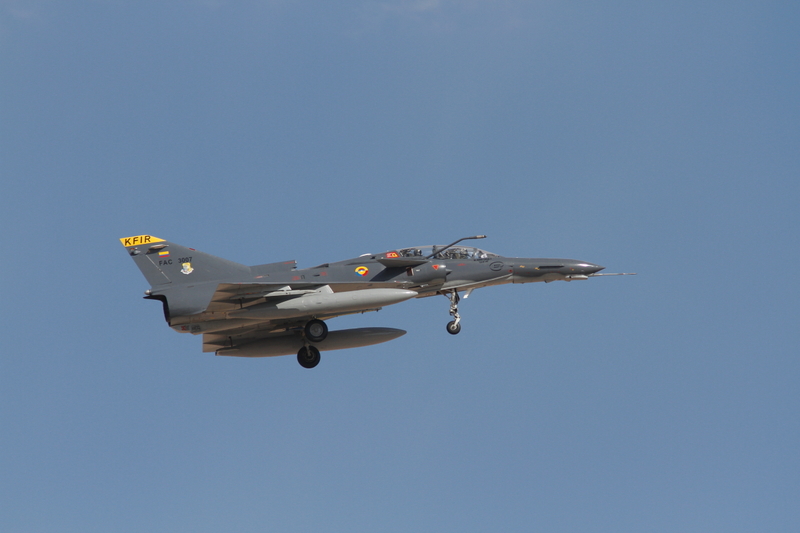 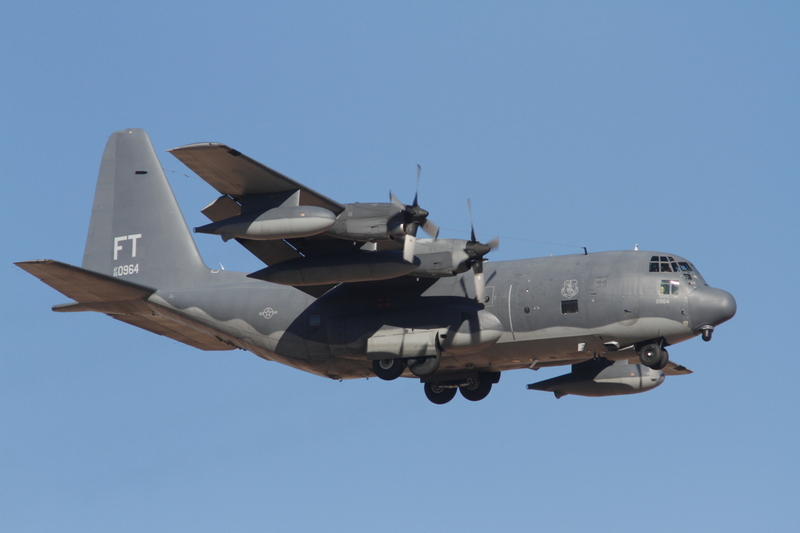 The Colombians attended at Red Flag 12-4 for the very first time, and also with a rarely seen aircraft, so the spotlight was well and truly on them, especially as this was also the first ever overseas deployment for the Fuerza Aérea Colombiana. 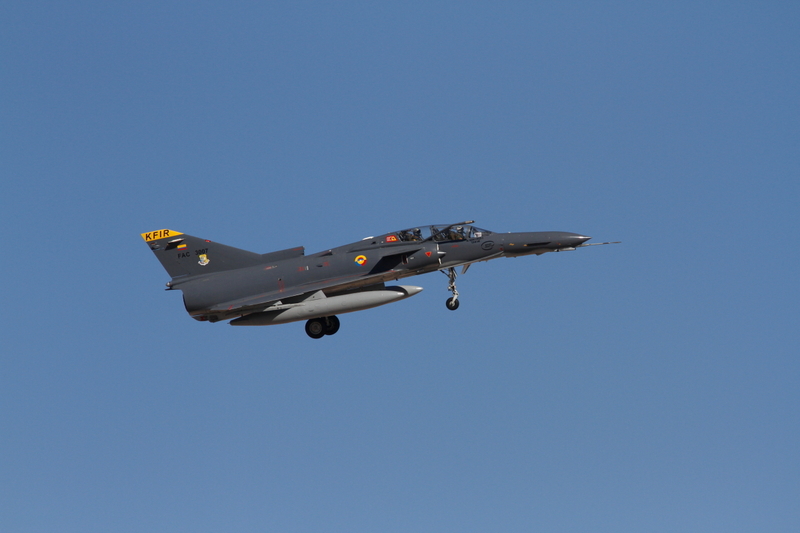 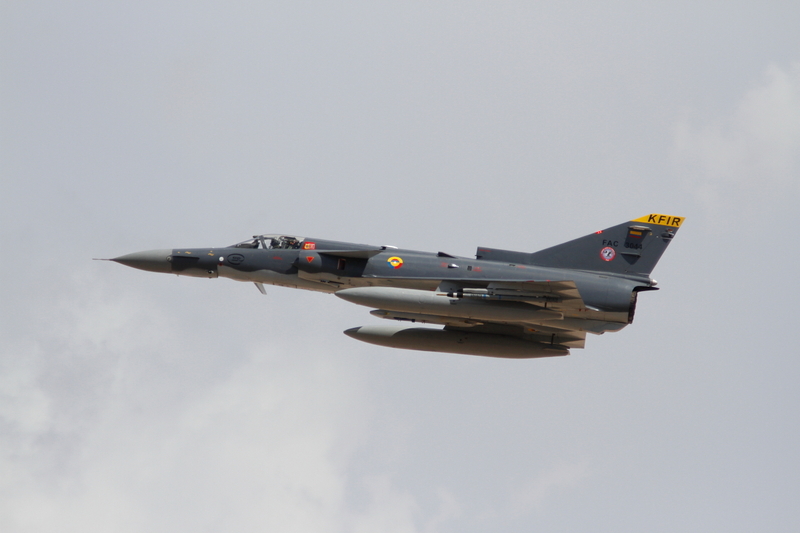 The Colombians brought seven Kfir C.10 fighters, plus a single Kfir two-seater. 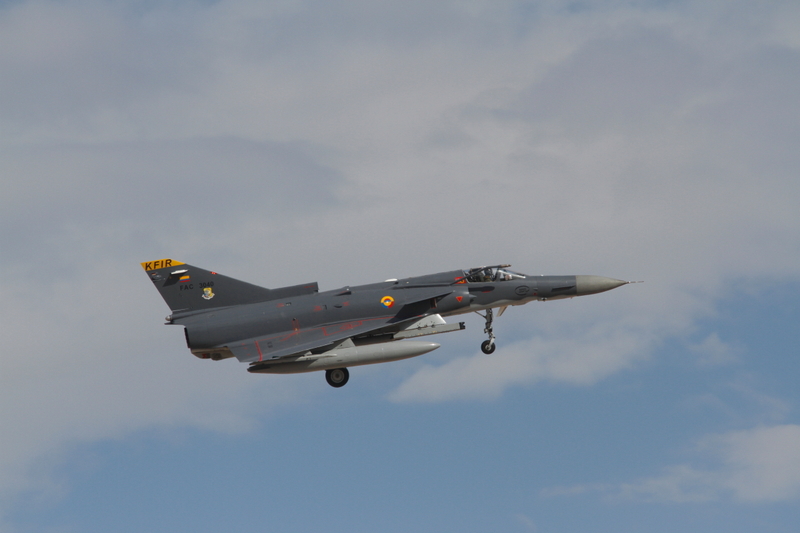 The Kfirs were all from Escuadrón de Combate 111 (111 Squadron) from Palanquero Air Base in the middle of the country. 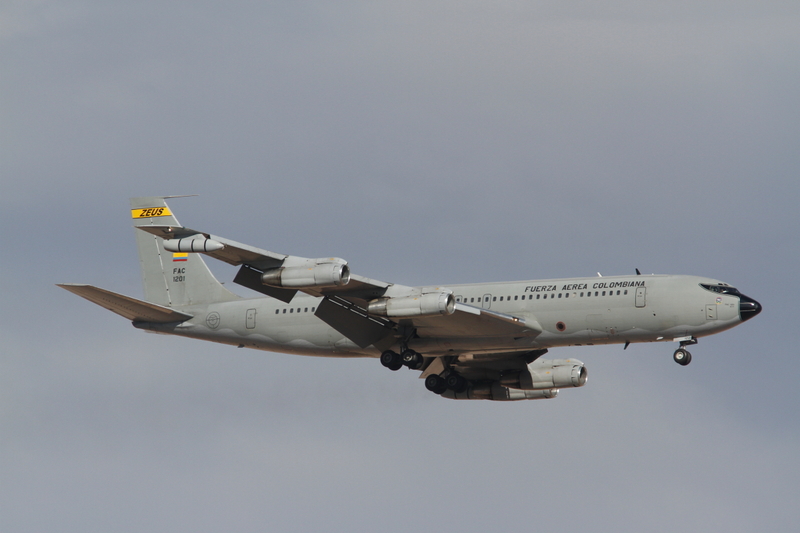 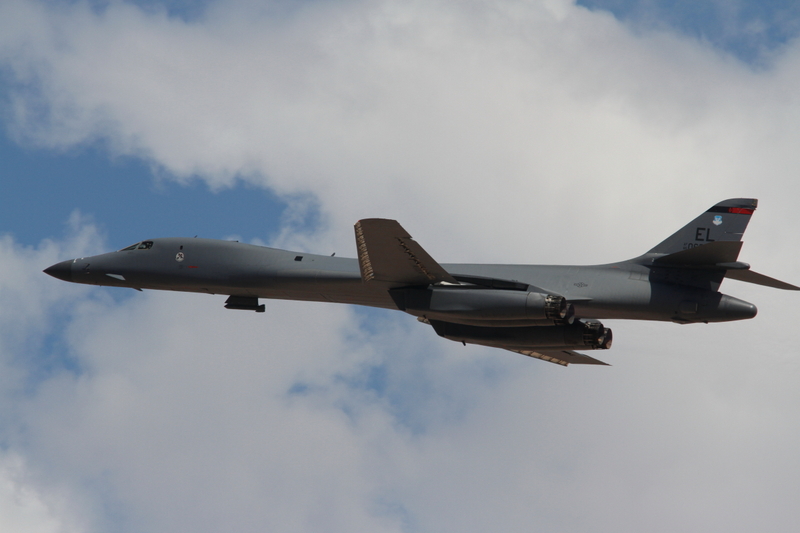 Refuelling capabilities were provided by KC-137 and KC-767 tankers. 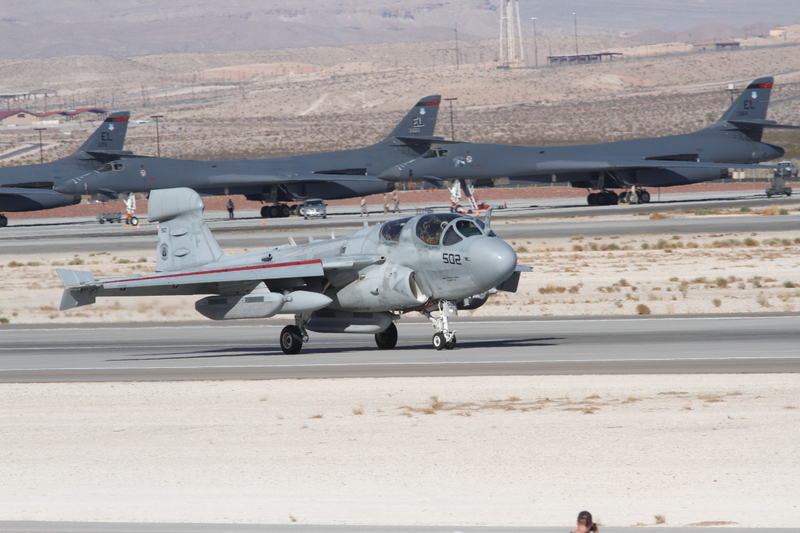 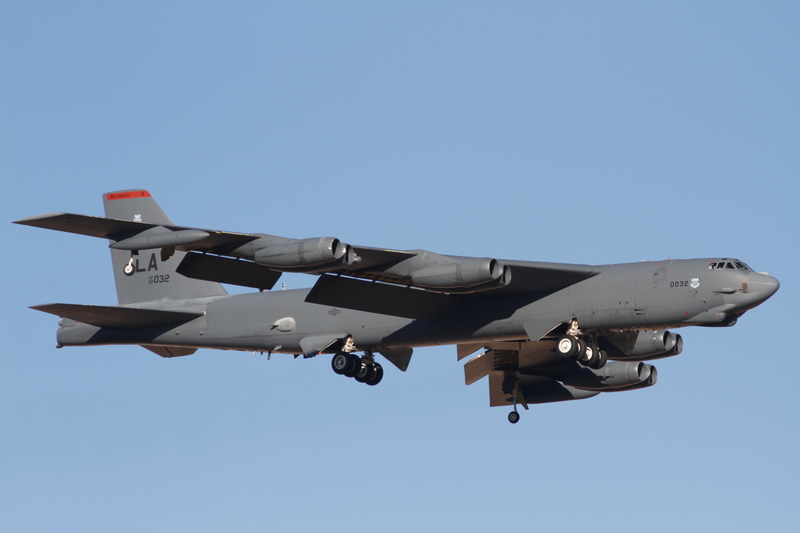 Highlight of the trip was the attendance at the media day, at which we were dropped between the two runways of Nellis and from this spot we had great photo opportunities.